In 3-quart saucepan, heat oil over medium-high heat. Add onion and garlic; cook 1 to 2 minutes, stirring frequently, until onion is crisp-tender. Stir in all remaining ingredients. Heat to boiling. 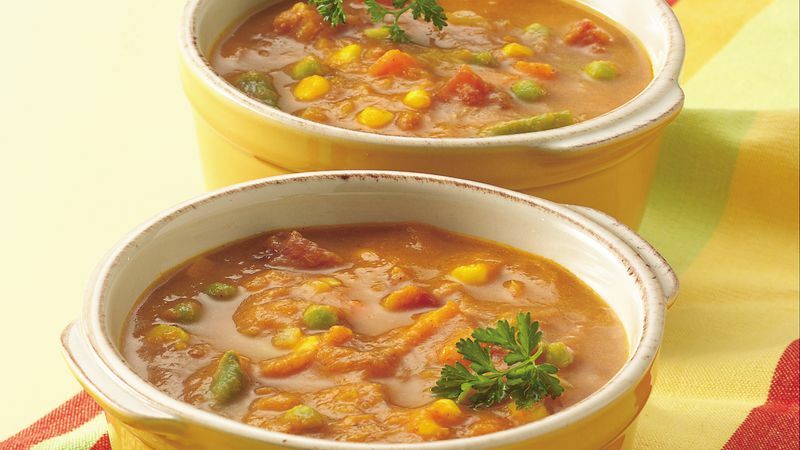 Reduce heat to low; cover and simmer 10 to 12 minutes, stirring occasionally, until vegetables are tender. If desired, season to taste with pepper. Pumpkin is an excellent source of vitamin A. This nutrient is important for night vision and maintaining healthy skin.